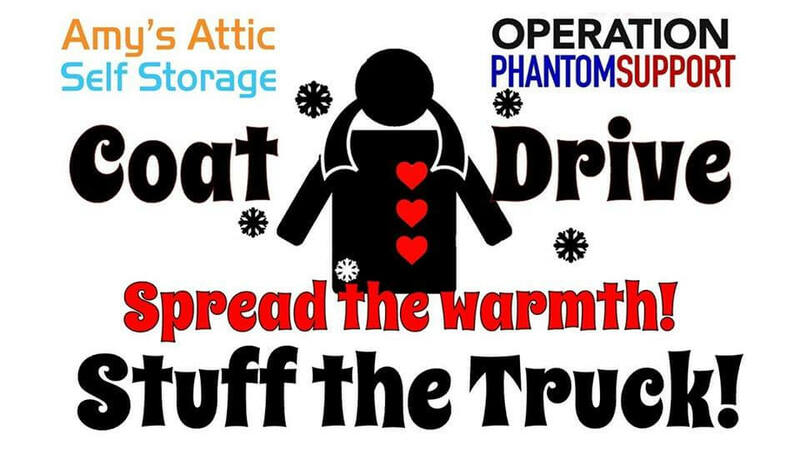 Join us at Amy’s Attic Self Storage in Copperas Cove to help Stuff the Truck as we load all of our donations into Amy’s Attic Self Storage moving truck. There will be coffee and donuts to start your day off happy. We’d love any last minute donations, so please go through your closets for any unneeded coats to help Spread the Warmth in Central Texas! Donations will be taken to area schools to help keep kids warm and to Cove House, an emergency homeless shelter in Copperas Cove.